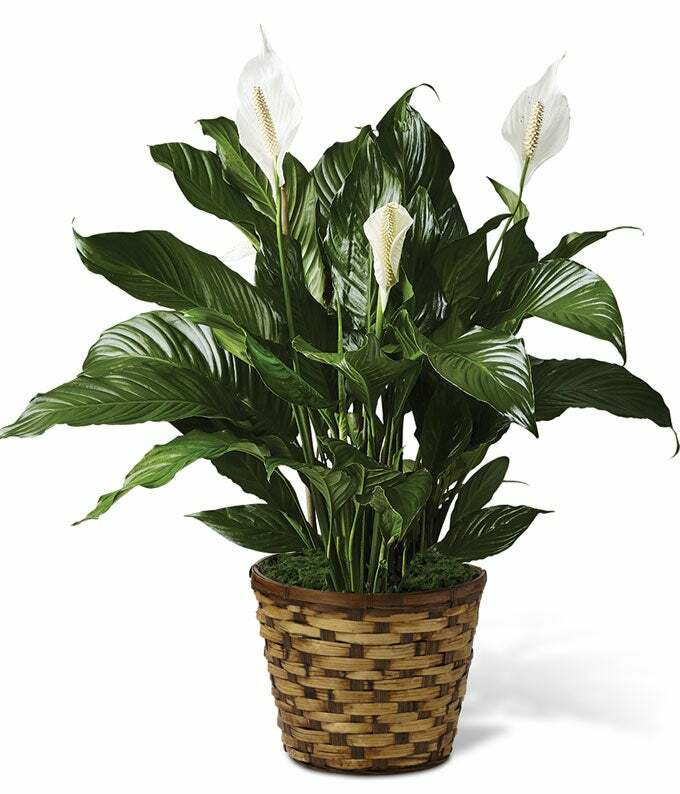 This lush peace lily is the perfect plant to send to celebrate today's special occasion. A favorite among From You Flowers' customers because of its easy care requirements and deep green foliage. Available for delivery to an office or a home. Hand arranged in a bamboo planter this is the perfect gift to celebbrate any occasion.